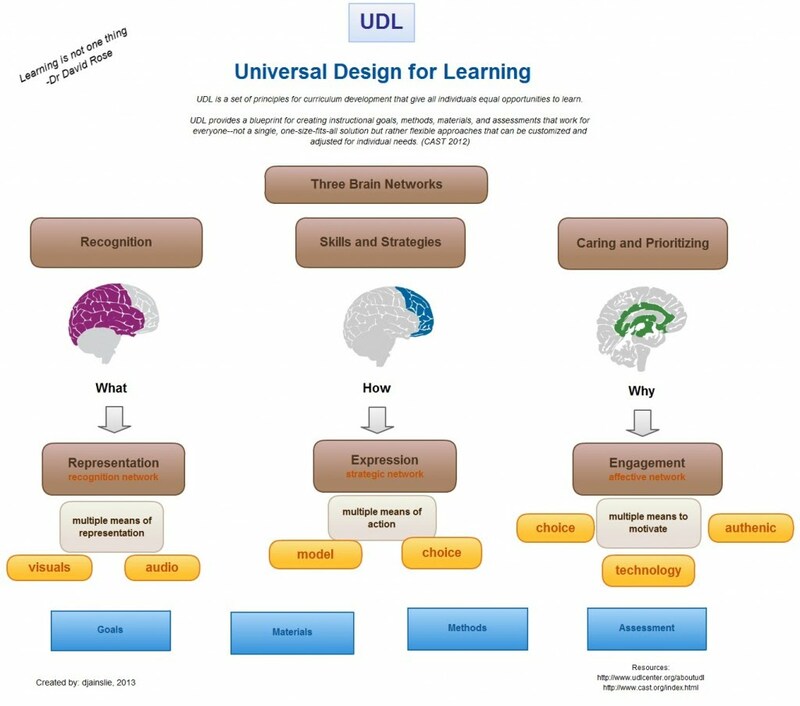 Universal Design for Learning (UDL)is a set of principles that provides teachers with a structure to develop instruction to meet the diverse needs of all learners. 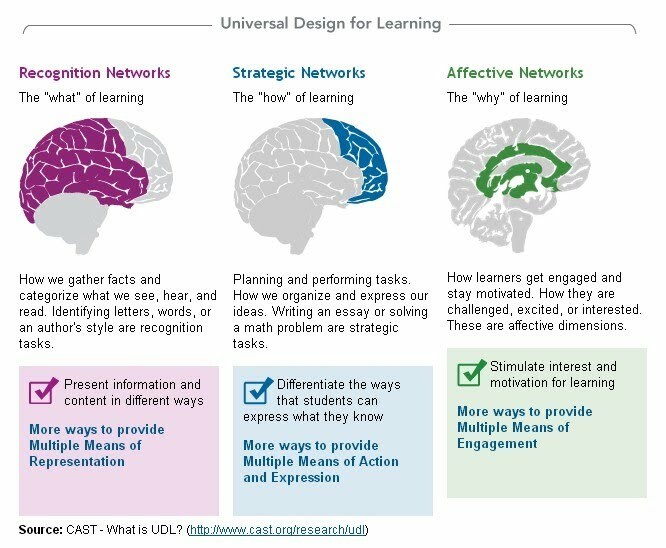 A research-based framework, UDL suggests that each student learns in a unique manner so a one-size-fits-all approach is not effective. By creating options for how instruction is presented, how students express their ideas, and how teachers can engage students in their learning, instruction can be customized and adjusted to meet individual student needs. To support all students including students with disabilities to successfully engage with the Common Core, educators can apply the UDL framework to Common Core-aligned tasks. 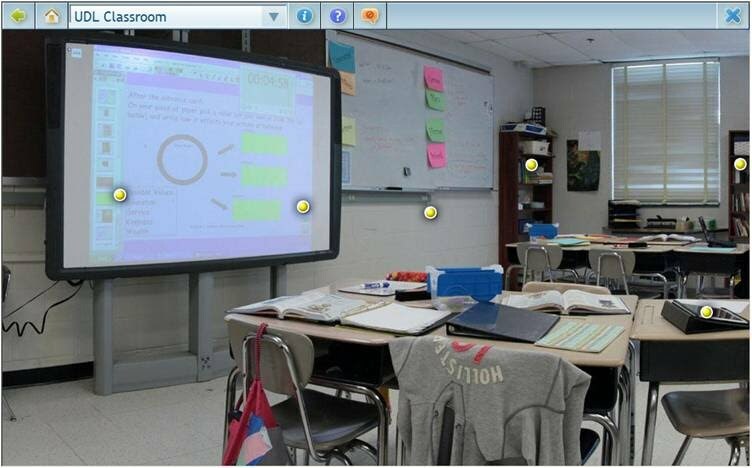 To access Common-Core aligned tasks with UDL supports, click here. The recognition network is where we process information gathered by our senses, e.g. words that we have read or heard, images that we have seen and objects that we have touched. This network is all about the information coming INTO our brains and represents the “what” of learning. The strategic network helps us to organize our ideas and then plan and carry out tasks based on these ideas. When we answer a question on a test or build a diorama, we are using the strategic network. This network is largely about information going from our brains OUT TO our muscles so that we can act. It is the “how” of learning. The affective network is about which things interest and challenge us. For example, when a child becomes excited about math because he can use it to measure the speed of a rocket (as opposed to using numbers in a more abstract way), it is because his affective network is engaged by the idea of the rocket. The affective network is about the “why” of learning, the activities or ideas that MOTIVATE us to learn. The CAST researchers discovered that everyone – non-disabled and disabled alike – exhibits differences in the way each of these networks function. It turns out that the activity in these networks is actually as unique as each person’s fingerprints. And that means that there is no such thing as a “typical learner” and that any kind of “one-size-fits-all” educational approach does not reach all learners. More examples of how you can use UDL to adapt your current curriculum to your students’ needs are found in UDL in Your Classroom.